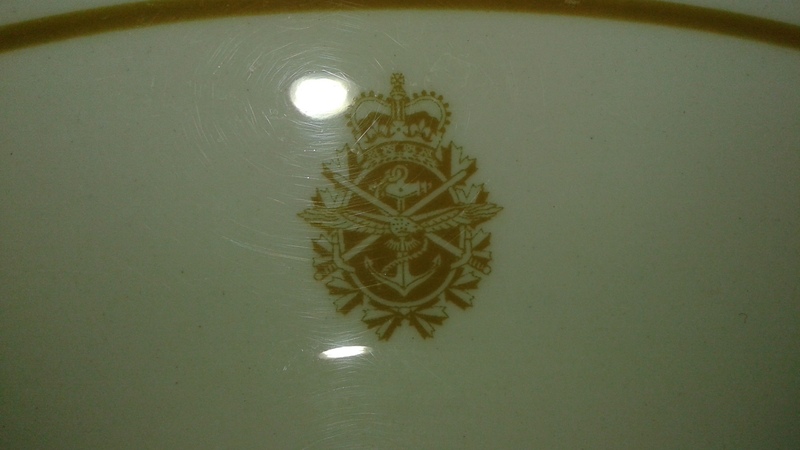 Excellent condition tableware for post 68 Canadian Navy. 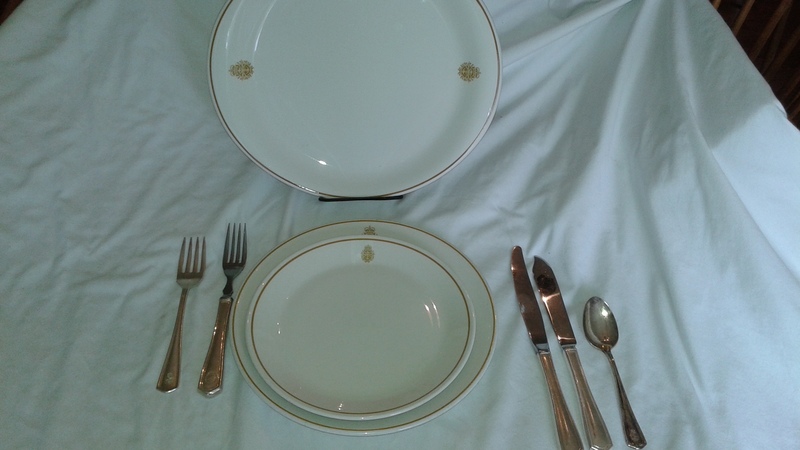 Platter is $15, dinner plate $12, salad plate $8, cutlery is $2 each. Eat like a sailor! All tableware is very useable.